How to seal painted furniture, Paste wax vs. Polyacrylic sealers….. 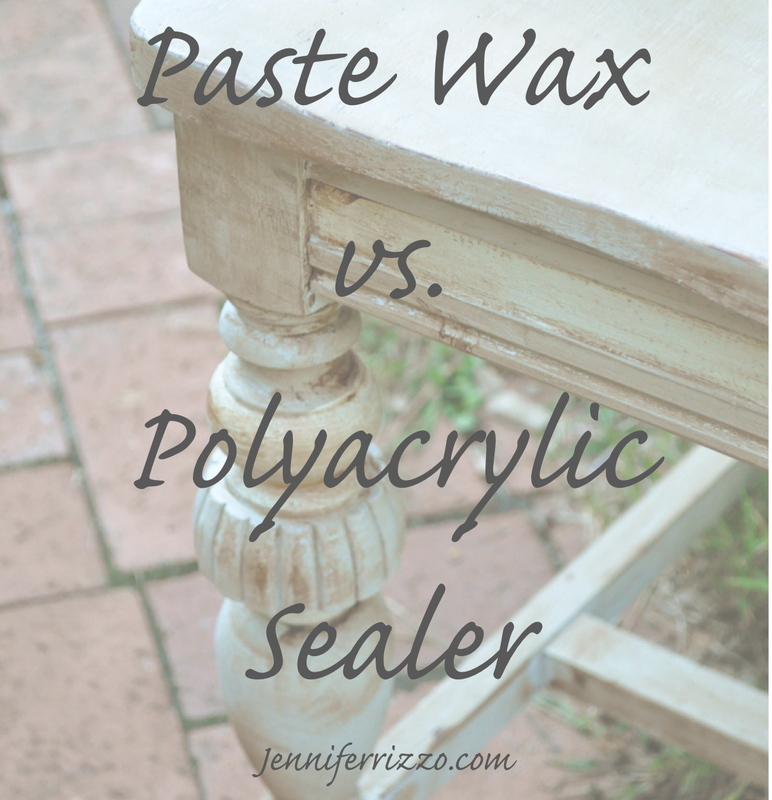 I had a few questions about using paste wax vs. water-based polyacrylic sealers after my post yesterday, so I thought I would explain why a little bit,how to seal painted furniture, and give you a chart with the pro’s and cons of both. While I have been painting furniture for over a decade; I am not an expert by any means and while there are many other applications for both sealers, but I am talking specifically in relation to painted furniture. There are also other sealers such as Tung oil,Varnish,Lacquer or even Shellac.I wanted to talk about how to seal painted furniture and the differences between Paste wax vs.Polyacrylic. *Also if you have a direct question about what is the best sealer for your project, please refer to the comments section first. Your question may have already been answered. * You can also refer to this secondary post here. I know paste wax is hot right now; but I still prefer using a glaze and polyacrylic “poly” (you can use the glaze technique I talked about in yesterday’s post with chalk paint, In fact,on the chairs I showed you the blue was a flat paint and the grey was chalk paint.) and my biggest reason is at the very end. –Poly needs to be reapplied every few years, where in a high use area, you have to reapply wax every few months. In a piece that is not high use, not as much. –Paste wax will deepen colors and really enrich them like poly can’t. Though Poly will intensify them. Brown paste wax can add a nice patina if you don’t want to go through the trouble of waiting for a glaze to dry. However, brown antiquing wax generally comes in one shade where glaze can come in any shade. – I do think that wax allows wood to breath better. Whether that makes a difference in painted furniture as opposed to stained or natural wood, I don’t know. –Polyacrylic dries in a few hours where wax can take over a day to cure. In a very warm room or really sunny window,if you put on too much, it might not cure at all and brown wax can actually rub off and stain fabric textiles. –Even though chalk paint itself can be environmentally friendly and lower VOC, as are many flat paints, Wax and Poly are both generally not, both have solvents (even though Polyacrylic is a water-based product), and need to be applied in really well ventilated areas. –Both poly and paste wax can be applied over chalk or flat paint. –Though wax will always give you a beautiful, smooth,deep finish, and really enhance color or grain,water-based poly can be streaky and temperamental to put on with a brush (I prefer the spray). It’s also good to know if you’ve even painted your furniture correctly in the first place.You can check out this post for some tips. 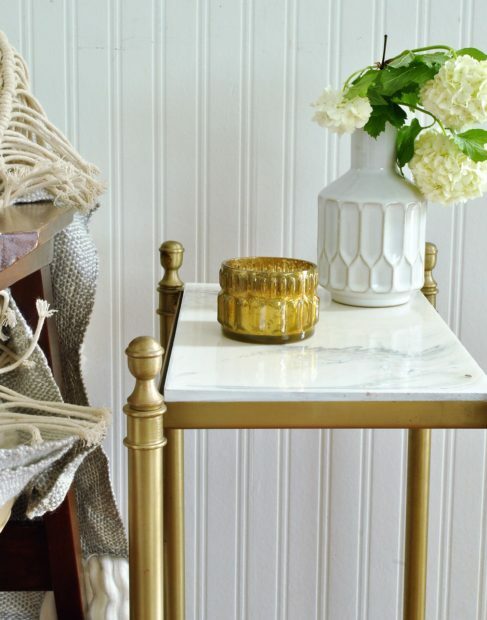 Are you making these 10 common mistakes when painting furniture? -The one point that alters my decision the most is when you go to repaint a piece of furniture.With wax, you have to remove every last bit, or your paint will come right off. This can involve extensive sanding or stripping, where with Poly, you can give it a light sand to give it some tooth and paint away. Since I am a frequent furniture re-painter, this would be way too time consuming for me. You can also use poly to seal a piece against “bleed through” such as when you are trying to paint over that finicky red mahogany. People say you can paint over wax, yes you can, but the paint does not adhere as well especially is you aren’t using chalk paint the second time. For instance, you cannot paint milk paint over a paste wax. Here’s also a quick chart to help you make a decision which one you might want to use. 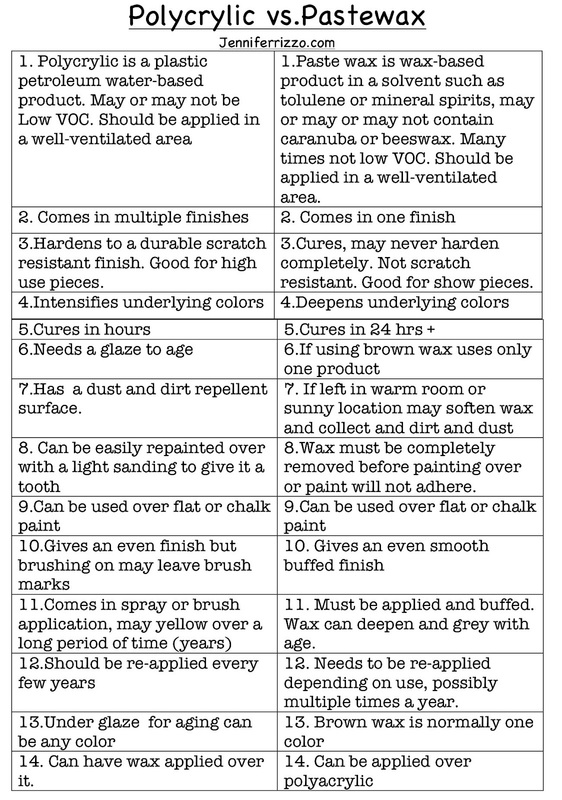 I hope this helps you make a decision which sealer is the best one for your painted project. If you are looking for furniture supplies, these is my favorites (affiliate links) for painting (and care.). Thanks for the comparison! I have always used poly, and just recently used wax on one shelf project. With three kids, I have washed crayon marks, markers and paint right off my poly coated dining table. OK, this reference table alone needs to receive credit for a doctorate of some kind! Brilliant! I have struggled with which sealer to apply and you coalesced the decision process beautifully. I just put poly over a chalk painted piece for the first time yesterday – and I love the results! It’s a little different looking, but I really love the way it turned out. Thanks for the pros/cons – that’s a great reference! Oh, this is so clear – thanks!! I’ve always used poly, but have been reading about wax and wondered about the differences. I too, think I’ll stick with poly. Hi! Have a quick question, I painted cabinet with a flat blk paint, it looked really nice and then added annie sloan dark wax over them and now they look splotchy.. shinny in some spots and dull in others. I did very light wax but right where I put it on is dark and shinny. Don’t know where I went wrong, I’m thinking I should have put a poly on them. Whats your thoughts? I would try to really give the entire cabinet a really good buffing. It could just be the wax is not rubbed in all of the way in some spots, or heavier in others.Give that a try and see if that helps. Did you use the spray or brush on kind? Hi Jennifer, a while back I asked you your paint colors in an email…and then took a leap and painted my dining set. Now I’ve been scouring the internet trying to find whether or not to do poly or wax (since I did white, I’m worried about yellowing). So thank you for making this an obvious choice! I’m going to go with the poly since the table is “high traffic” and I have a little one growing up and I know she’ll do something or another on that table!!! Thanks for your help! Oh I forgot to tell you my email was jodi_jay@hotmail…maybe you remember me? Great write-up and I agree with you wholeheartedly. This chalk paint/paste wax craze is a bit trendy in my opinion, and regardless of the cool finish, in time it just amounts to more work! My mother-in-law has been using wax on her wood floors for ages and raves and raves about the advantage of waxing her floors. I think it is important to point out that while wax can be a protector on furniture(especially floors with it’s water repelling qualities and such), it does not replace a permanent sealing. For floors that have been stained and sealed, wax is a great maintenance product. It fills in scratches, restores color and sheen and protects against water. We bought an older home with wood floors and stripping/repairing/resealing them is out of our price range for now. You can find wax in many colors at a hardware store in the flooring section (walnut, red oak, etc.). If you are not able to strip and refinish floors, wax is a great way to bring the life back to them as a temporary fix vs. doing the big expensive job. On the downside, I’ve found that I cannot use my steam mop to deep clean my floors, it melts the wax right off. It scratches off easily if I move anything heavy over it, and it has come off on some of my textiles. It really does take a couple of days to cure which is a bummer if you need to use the room. Because of my experience with waxing wood floors, I am completely against using it on furniture!. It is just not practical. I like a nice hard finish that doesn’t come off from use. Especially when you can get the same aged effect with a glaze. The energy and time put into redoing a piece of furniture is something I want to last, not continually maintain. I need more mileage out of my furniture than wax will provide. Is it possible to paint poly over wax? I waxed a table after painting with chalk paint and I am not satisfied. I am wondering if I can poly over the top? Not with water based poly unless you remove the wax. Was is an oil based product and is a natural repellent. That’s why I ma not a huge wax fan when I want to repaint something. I am sorry, but this is incorrect. I paint pieces, using both latex and chalk paint. When I do a piece with chalk paint I always wax it because the finish is gorgeous and poly just does not have the same beautiful, soft finish. If the chalk painted piece will be a highly used piece, I add poly over the waxed finish. I use either rub-on poly or spray and it does stick and increase the durability of the finish. I have used this method many times and have never had a problem. Specifically what type of poly did you use? I need to add something to my kitchen table that has chalk paint and wax. Thanks. I use minwax polyacrylic, but I wouldn’t recommend putting it over wax. Do you use Clear gloss or semi-gloss or clear Satin? I prefer the clear satin Brooke, it just depends on the sheen you like. Stephanie- I used poly on a waxed table to make it more durable and it peeled right off. Maybe it’s the technique or it depends on the products used but obviously poly over wax didn’t work out for me. What are the products that you use? Maybe there is a difference between using a water based vs. an oil based poly? Oh I wish I would have found this article a few days ago before I blew $40 on 2 cans of wax that I just had to have since reading all the craze about it on all these pinterest projects. I’ve always used glaze and poly, should have just stuck with it. The wax is def more work to put on, buff, etc, imo. Oh well, I’ve got it, so at least I’m going to use the cans I bought! Ugh – I just chalk painted my dining room table and finished it with wax. Big mistake! It has already been scratched and the paint comes right off! Thanks for the information. I’m going to strip it and start all over finishing with the poly. You can paint over the wax with chalk paint and then poly, no need to strip!! Glad to hear this. I’ve switched over to sealing almost all of my pieces (regardless of paint type) with wipe on poly. I found wax to go onto dark painted pieces with a lot of variation in color and could never get it to not look streaky in some lighting situations. The wipe on poly does just that…wipes on with a rag like water so I never have a streaky of brush stroked finish. any thought on wipe on poly vs a brush on variety? Great comparison Jen and I’d have to agree with you even though I don’t have nearly as much experience with furniture painting. (I’ve experienced much of what you said though.) I was waxing all of my table tops and such but I go straight for the poly-acrylic now (except for my wooden farm table top). I still use the wax on the legs and such. I only just discovered poly-acrylic last year. I always stayed away from anything “poly” because I thought it looked plastic and would yellow my piece. I was happy to learn that poly-acrylic does neither. More importantly, I just finished chatting with Kimberly and want you to know that you’re in my thoughts! Now I see in your chart that it DOES yellow over time. Sugar. I have painted it on so much white. Do cleaning products have anything to do with it? I’ll stick to wiping tops with a wet rag & no cleaner. Maybe that will prolong the yellowing process. I think sometimes it can be the water. If you have your own well. When wiping tops with a wet rag use a dry one behind it. The water alone can cause it to turn yellow. Did you use water or oil based wipe on poly? I Misty,I use water based spray on poly. Great information!! I’m right at the point with several pieces of painted furniture needing top-finishing. Since I sell furniture, I will go with spray poly. It will be done faster, as well as the buyer can change paint color much easier, if desired. This is the most clear presentation of information on this subject that I have read!!! Thanks! Wow, thank you for taking the time to write this. It was so helpful to me! Thank you Jennifer, I have been working hard on stripping and staining an old desk for my son, and I wasn’t sure which finish to use. Your analysis helped me determine that Poly is going to be best for this use! It’s a good post in terms of categorising. Thank you for your time and effort. I just want to add that it is possible to paint over wax after it’s completely cured. There is no difference in my experience. Thanks for letting us know Arina! After reading your advise I ran out and bought minwax water base polycrylic. It says “crystal clear finish”. I painted with a brush over white chalk paint. The finish is anything BUT crystal clear it is yellow and streaky. Help! I am so sad. HI Kathy,I’ve never had that problem before!I am not sure why. It should be clear.Did you call minwax? I haven’t called them, but I will. HI Kathy, I wanted to know if you ever were able to get this resolved?I am curious.Thanks! feel free to e-mail me I am curious, the only thing I could think is if it was a previously stained piece and the stain bled through the bottom? please do and let me know what they say. I’ve never had that happen. I used ASCP on a large dining table & 6 chairs. I have a 2 year old & a 3 year old, so I used 3 coats of wax on the table top. I love the shine after I buffed it, but am concerned it won’t hold up to their rough & tumble ways (they literally will pubs a fork into the table). Some say you can add poly over wax others say not so much. The project is still in the garage. I’m eager to move it in, but need to know what to do for a durable finish that will hold up to my kids & their friends (when we host parties & play dates). Would seriously love some help here!!! Did you ever have any luck with this?? I am currently in the exact situation. Table and 6 chairs and beautifully painted and waxed, but I am now sure that my 1 year old and 3 year old are going to destroy it! Did you find anything that worked over the wax? Hi! I am in the middle of refinishing a coffee table with a light sage green chalk paint that I want to have the aged look so I would Iike to use one of the darker waxes to create a darker look but after reading this I am worried that I should use the poly instead since it is a higher traffic area. How do you get that aged effect with poly or is it possible? Also do you know if it is important then using wax to use a clear wax first and then use the darker wax to age it? If you want an aged look,but are using poly, you are going to want to use a glaze or brown paint instead to age it. The effect won’t be as creamy,but with a glaze it will harden under the poly. You can also wax over poly, so you could always poly the heck out of it and then use the dark paste wax over the top and wax on top of that.I believe with AS wax you need to use the clear and then use the brown.I have a post about aging with glaze if you want to look at that. How long do you have to wait to poly over chalk paint? I am doing a rocker for my deck. Thank you. About 24 hours for the paint to cure. I am using black paint on a side table that has some beading around it. I was thinking about using some gold wax, the kind in a tube on the beading. Also, can that kind of wax be used in stenciling if I wanted to do something on the table top? After using it can I then put a sealer over everything or will it smear the wax? I’ve never stenciled with that type of wax before so I don’t know.You can put a sealer over the wax,if it’s already wax, but poly might not stick.Make sure the other wax is cured all the way, it might take a few days.You might be better off sealing and then waxing if you are using poly. 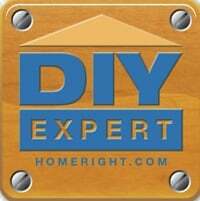 I just finished sanding my kitchen cupboards that are made of red oak. They were dark walnut. Now I love the honey light color and would like to keep them just as they are,natural and more miky white. I discovered that the water base ploy makes them darker,and brings out the dark wood grain,which I’d prefer not to have. The wax leaves them softer and doesn’t make the grain darken,and they look more natural. Would this be enough protection in a kitchen( with no little hands around most of the time)? And if down the way I decided to polyurethane ,would that be a problem? To be honest, I am not sure, I have never done cabinets with wax.I guess that depends on how much use they get. The ones by the stove that might get grease splatter might show the most wear.You can always re-sand them later to add the poly.They are softer looking because the Poly is a water base that just protects and the wax being a paste actually fills in the grain a bit. You can always re-wax them later as well if they need it. I am in a dilemma…I recently purchased a Briwax in an ebony finish to cover the BEHR flat black that I painted my kitchen table. When I put it on it was very sticky and hard to rub off which left me with streaking marks. I then decided that maybe I should use the polyacrylic…can I now paint over the Briwax with the polyacrylic? I would sand all of the wax of first or use a stripper to remove the wax and then do a new coat of paint.Before you do that, you can try using a buffer to really buff out the wax and work it in. Hello! I’m a serious newbie when it comes to all of this…I’m currently painting a large piece of furniture and am going to use it to set a tv on and vases, etc. It’s been primed and right how it’s being painted…I was curious as to how long to wait before I can apply the polycrylic? I’m being forced to paint in the middle of our living room (when I say middle, I mean our ENTIRE living room – we’re renting a tiny townhouse!) and I’m horrified at the possibility that we’ll be watching the tv on the floor and dancing around the furniture for weeks. By the way – I used zinsser cover stain primer and acrylic behr satin paint mixed with floetrol! I normally wait 24 hours, but if you are polying inside make sure you use the brush on kind and ventilate the area well with a fan and open windows!! !The directions will tell you how to do all of the steps. Quick question: whay poly do you recommend for a creme chalkpaint tabletop with lots of use? Thanks!!! What is your opinion of the minwax polyacrylic brushed on vs the minwax wipe-on poly? Are brush strokes an issue with the polyacrylic? Is the wipe-on non-yellowing? And is there a non-yellowing spray poly that is an option? I’m looking for a product to go on a white chalk-painted chiffarobe in a tween’s room. Thanks! try Ruelle’s non toxic wax. google them. excellent liquid wax or paste wax. super easy to apply and very easy to buff. not like normal waxes i’ve used in the past. this stuff is excellent. and eco friendly. After you let Chalk Paint dry, do you sand before using poly-urethane as the directions say? I tried to lightly sand but it looked distressed. So I decided not to sand and painted the poly right over the dried paint. Opinions? I don’t sand the chalk paint,I just poly. HI Marlene, you can, but don’t use oil base, it will yellow it, and the poly may change the finish and texture a bit. I would do a test patch or a test board first. Thanks Jen i will do that and let you know how it turns out….what about minwax finishing paste in a natual? would that be a better choice? I love the look of the “flat/soft” chalk paint, it’s the reason I am now painting everything with homemade chalk paint. I was actually only considering wax because I don’t want any shine at all. I have satin polycrylic (Minwax brand) and I love it on most of my table top projects, but not the rest. For instance, I have just chalk painted some end tables on the bottoms. I LOVE the way they turned out. I left the tops bare with some French typography and sealed them with my poly. I love the look of that, too. I then applied polycrylic satin to the bottoms to seal them and the shine made it look horrible! It looked cheaply painted. So, I lightly sanded and painted both of them again with a couple coats of chalk paint and was happy again. But now I’m at a crossroads of how to seal them. Will the Minwax paste wax keep the chalk paint look, do you think? Or will there be shine again? I’ve heard there are some spray on “flat” lacquers and shellacs…should I try those? What are your thoughts? Thanks so much! I am not sure.It might have a slight sheen to it.I think any way would. I would recommend a test board to make sure. Try the minwax polyacrylic spray in flat on a test board and see how that works. After I paint two coats of flat black enamel how long must I wait to put finish wax coats on my piece? HI Darla, normally the paint you use will have directions on dry time. Normally though 24-48 hours. Hi! Thanks for the post. I am a newbie and no very little about sealers, wax, oils vs water paint etc.. I did buy AS books and was able to get a great result on a coffee table after following her directions using chalk paint, AS wax and then aging with dark wax. after I finished that step the table top didn’t look right in my living room so I applied a French Linen wash after the wax dried then sanded the piece to create the effect I wanted. It turned out fabulous and I love the end product! HERE IS MY PROBLEM…….I have three kids and I can already tell that the wax finish will not be durable enough. How can I seal this without changing the color or effect I have created? I am not Sure, You can try to seal over with the poly, I just don’t know if it is going to hold up or not.It might be worth a hot though if it is already getting trashed. Hi, I am a newbie here. I sanded my old wood bench and painted it with white latex and primer.paint. Then I used acrylic arts and craft gray and wiped it off to do an antique finish. It looked good, I applied the Minwax polycyilic and when I was brushing the poly it was washing off the gray color what I did wrong? Also is it polycrylic or polyacrylic? It’s been 4 hours and it sort of peels off. I am not sure, I haven’t had that happen before. The craft paint might have not been cured enough the and poly-acrylic might have kind of lifted it. It might be better to use a spray polyacrylic. Hi Kendra,I would try a blow dryer first and see if that evens out the wax, then I would buff it with a really soft cloth to get a sheen on it.I don’t know if you could sand it too far with out taking off the art work underneath.If you are going to antique it I would use brown wax. That was supposed to say that I use a base coat, which is normally latex, or for the base-coat I’ll just stain it, (on my previous comment i wrote “seal” here instead of “stain”. )….then use oil paint for lettering and then seal it. I am a newbie and have just sanded and applied two coats of Benjamin Moore Advance paint (pearl finish) in Expresso Bean to my wood kitchen table. I put on a dark primer prior to painting. So far I am very happy with the finish. I want to put on a poly acrylic as a protector. I used a brush for this on a dresser in the past and found it showed the brush strokes. To prevent this from happening again, what application would you recommend. Also I really don’t require any further shine to the finish, is there a product that would not change the current look of the paint finish? I use the spray kind, but it has to be done outside for sure! Since the wood is unfinished, do you recommend putting on polyacrylic to seal it? I have 2 kids and we will be using this table as our everyday dinner table. Using chalk paint for a table and chairs, using a light greige (gray/beige) and creamy white. Used 4 coats of water based polycrilic and a ring appeared after putting a cup on the table. Would wipe on poly be better Or can it yellow? I noticed there is water based wipe on poly and non water based. Help! Oil based wipe on poly is way more durable but will yellow. I haven’t had too many problems with rings on water based poly.It might need a few more coats if you used the spray kind and it dind’t saturate enough. You can always wax over poly too for a more durable finish. The only thing I can see is that when you try to seal two paints with two different sheens you are going to get the end result of whatever sealer you use.I would try painting the fat part first, seal that with a flat poly acrylic sealer and then paint your glossy parts.The thing is any poly/sealer even flat will deepen the color and add a slight sheen I would try a small part of your technique on a test board first. I just finished applying an acrylic clear polyurethane clear coat gloss over a dresser that I had painted & glazed using latex paint & latex craft paints and a latex glaze. The furniture turned out just how I wanted it. I let it dry for 24 hours and just went to apply the polyurethane to protect it. As I wiped the brush across it started bubbeling & lifting the paint. Is there a specific or better product in the polyurethane for faux finishes such as glazing? I like to use the water-based in a spray medium because you can have less issue with the bubbling and lifting especially with glaze which can sometimes redissolve it. Latex craft paint also is much less permanent and is less hard and is a little more likely to lift. A test patch is always a great idea. You can also just try a craft varnish, it might be a little less harsh. HI! I am new to chalk paint and all that it entails. We are getting ready to paint our kitchen cabinets and I had planned on using diy chalk paint and then waxing them. Now I am somewhat rethinking the waxing part. Can you give me any advice on using the wax or using poly. I am really confused on this part of the painting. I can paint all day long, but this part is scary and I sure don’t want to screw up all my kitchen cabinets. Thanks! Hi Heather. For long term use I would use Poly. You can a really hard finish that will hold up to years of use. Thanks…Is there a certain kind I should use? I know there are several different kinds. I really appreciate the help. I like minwax polyacrylic a lot. Hi Here I am Johnny come lately. I am working on a headboard. I am painting it a burgundy color in latex by Valspar. . Being such a dark color it needs many coats of paint to get the finish I want.. I am lightly sanding in between. It is looking beautiful, and almost ready for sealing. I have some Krylon Matt spray and was wondering if I could seal it with that instead of poly. HI Dee,I would do a test patch on the back and make sure it’s what you want first. A lot of helpful information here! I worked in a custom cabinet shop for several yrs. staining and hand glazing tons of cabinetry. I found that after painting a piece that you want to glaze, a light coat of finish will help make the glazing process so much easier. And if you make a mistake, its easily removed. I did a great deal of glazing with stain over a painted pieces that had a coat of finish. You can achieve a smooth finish with brush on poly. Using a good brush is a must, doing several LIGHT coats, and lightly scuffing between each coat with FINE sandpaper or sponge. Don’t overwork the poly when applying, letting it thoroughly dry between each coat. I have used a product by Modern Masters called Dead Flat Varnish, that when applied is just that, flat, no sheen. I’ve used it as a finish on faux painted walls, and primitive look cabinetry. 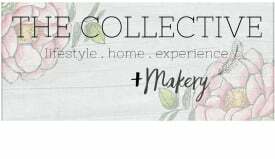 I’m glad I found this blog, I was just getting ready to chalk paint my dining table and chairs and planned on waxing, because that is the “thing” right now.. did a small antique table first, not happy with the results. You convinced me , it’s back to poly for me too!! I just painted a bar stool (for testing) before I start on a very large dinette and hutch). I used Kiltz and then a semi-gloss black paint & primer. I then used polyacrylic for the first time and my chair (or stool) is very “bumpy”. Can I sand it down lightly and reapply the ploy or will I have to repaint and then reapply the poly? Thanks, just starting to learn how to do this. hi thank you for your info i just painted a coffee table w 2 coats of AS paint and applied AS clear wax and dark wax. i would like to apply a poly as well as it is a high traffic table. is this ok to do? also what type of poly do you rec for my situation? Thanks a million! I would use Minwax polyacrylic in satin, but you can’t apply it over wax, only under. I made a mistake of waxing my DIY coffee table top. Can I protect the top applying polyacrylic over wax? No, unfortunately,you have to sand it off first. Hey, I like your post, very informative; but I used a high gloss paint and wanted to know if I could use a poly over it as a protectant? You can use one with a high gloss finish, but it might alter your results of the original finish. I would do a test board first to make sure it has the results you want. Hello. I am still unsure of what I should use to protect my painted furniture. I do not use chalk paint, usually just flat paint and it often leaves a chalky feel. I want a smooth finish. . What should I use? Also should I use stain to do an antiquing finish? Or is there another option? Thank you so much! If you are using flat paint you can use a glaze for antiquing. And I would use Polyacylic in Satin or flat for the best finish. I always recommend trying a test board first though before applying it to the actually piece of furniture to make sure its the finish you want. I use minwax polycrylic in flat or satin for a smooth feel. You can use stain but if it’s oil base regular poly might not stick. I would use a glaze instead. I am new at this distressing thing but doing pretty good. but i am confused as well about wax vs poly. I know that there is a difference at the end but was wondering if I put wax on after poly will I get the wax look. Also I have tried this light sanding and it seems to scratch the finish as well as change the color of the paint. How do I solve the problem to achieve a smooth finish. Do you find that you get a nice even finish with the spray on poly? What brand is it? I do. I use minwax polyacrylic. Wish I had found your web-site before I chalk painted and waxed the kitchen cabinets and dining chairs in a rental property. They were so beat that paint was a cheap option to improve their looks. Love, love, love the look. The dark wax over the light brings out so much character. The problem is it is not holding up to the use in the rental. I am thinking I will have to poly. How is the best way to remove the wax? Can I melt the wax down using a hair dyer, wipe off as much as I can, lightly sand it and then poly? Or do I have to remove it using mineral spirits or can I just sand it to remove the top surface or do I have to sand down into the wood? No matter what I do, I can’t imagine getting all the wax out of all the groves. I hate this because I love the way it looks. Or thinking back at other comments would the easiest way be just to put another coat of paint over the wax and then poly? What a problem! I would try to sand it off first and then recoat. You can use brown glaze for the same effect and then poly over the top. So happy to find your blog. I have just finished using AS old white on a changing table/dresser (I used duck egg blue inside the drawers and shelves) I also used the soft wax on the inside of the drawers but found that I really like the color BEFORE I used the wax. Yes, the wax deepened the color which isn’t the look I wanted plus the wax made it look uneven and blotchy. Luckily, this was done on the inside of the drawers. I have been searching the web and looking at tutorials so that the outside of the dresser is what I want. So, I bought the min wax polyacrylic and ready to use. But before I do, was concerned about the “yellowing” comments and also the difficulty in applying it. Do I need to sand between each coat of poly? I certainly don’t mind bc I’ve put down 3 layers of AS and lightly sanded between each to get as smooth a finish as possible. I am a rooky at this stuff. I am due in 10 days and I want it to be right the first time! 🙂 Thanks! The water based poly shouldn’t yellow like the oil base, but any top coat will deepen the color. I would do a test piece first to make sure it’s the finish you want. I just painted my bathroom vanity with a home made chalk paint. I was wondering which is best poly to apply, the wipe on or brush on type? I am wanting the satin finish. I have the brush on type because I am worried about over spray and breathing in fumes in a very small bathroom with a spray. After reading through comments I am worried about getting “bubbles” with the brush on poly. I don’t mind if I have to do multiple coats just want what would be easiest to apply with out bubbles and drips. Hi Kori. I would probably do brush on poly and make sure you follow the directions and the room is really well ventilated. In fact I would make sure there is fresh air in there for a day or two. Even if you decide on wax I would make sure it’s well-ventilated. Maybe try a test patch on a part of the cabinet you don;t really see first to see if you like how it looks? Yes, I do all of the time! Just follow the directions on the can so you get the best finish. Oh, I wish I had seen this before now. I did researched this and bought some AS books. I painted my kitchen cabinets (half Old White and half Pure White). The color is nice but the stains are all over, plus they are sticky. I used the wax. I have tried to repaint a few doors but the coverage isn’t good. I can still see the stains. It was a lot of work, it just isn’t holding up. What should I do now? Can I put poly on top of milk paint? You would need to remove most of the wax, or give them a sand to remove it, but you can poly over chalk paint with out a problem. I would do a test patch to make sure you like the finish. The other option is to have the color color-matched in Benjamin Moore aura flat paint. It’s very scrub-able and can be sealed for a very durable finish. I painted a large dining table with AS chalk paint in a dark gray. I followed all instructions for waxing but still had major problems with streaks and a patchy finish. I am going to repaint with chalk paint over the wax and want to use Min Wax polyacrylic spray….have used sprays before and I am concerned about patchiness with it also. I need an even finish because it will be in a window filled room. I also think I will do it in a mat finish so I will see less marks if it is somewhat uneven. Have you sprayed large flat surfaces like this before with success. This piece is for a customer so it has to be good. Thank you!! Hello, Jen. I have a question(s) I hope you can answer! I have my great aunt’s custom cherry table from the 1950’s. It is a typical style of the era with a scalloped apron. We use it for our breakfast table. It is waxed, and shows water marks, etc. There are also several leaves which are in perfect condition. I also have three kids and the wax has worn off in many places. I’d like to restore the beauty of the wood, but don’t know what to do. Additionally, there is an oil stain on the table where my oldest spilled sardines (in oil!). Do I need to remove the wax (& oil stain)? If so, how? Can I use tung oil then poly acrylic? I look forward to having a beautiful wood table that is immune to the rigors of a family. HI Jackie, I actually don’t really do much with stained furniture only painted so I wouldn’t be the best one to answer that, and I would hate to tell you the wrong thing. I would contact a local wood working store and see what they have to say. Hi, I recently painted an old table and sealed it with a satin finish poly. I let it dry for several days, but everything sticks to the finish! The drawers stick and are hard to open, the lamp sticks to the top and leaves marks in the finish, etc. I inly used two thin coats of poly. Has this ever happened to you? What is going on?? This post is so useful to me right now. I just painted a king headboard and a bookshelf and “sealed” it with Johnson’s Paste Wax…. However, it has been a day and it feels sticky and grimy. I’ve tried to wipe the wax off a bit, but it is not a surface I’d want to place books on or my pillows near. Total paste wax fail (I[‘m new to this and am not impressed). Now, I want to seal the furniture with a water based seal. Do you think I can or will the wax prevent the water based seal from adhering to the furniture? Thank you for your advice! The wax will need to come off first or the sealer won’t stick.Try using a buffing cloth to really buff the wax, there might be too much. Hello. I am making kitchen carts and some of them have a graphic painted on the top. I painted with chalk paint, painted the graphic with paint markers and then sptayed the graphic with a Krylon spray to prevent smearing when I sanded to distress. Last step was Polycrylic since it is in a high traffic location. I did 2 coats and sanded between coats. It is peeling in places!! What did I do wrong? Also, what would you suggest to get a less shiny finish, but still get the protection needed for high traffic? I am not sure unless one was an oil base and the other a water base. I like the matte finish for less sheen. I just finish painting my kitchen cabinets- including 34 doors and 12 drawers- it took forever! I did the shellac after I noticed the stain bleeding through. My question is as far as finishing- how do you apply the polycrylic? I used a 3″ brush and since I have vertical lines in my cabinets, I noticed that the poly pools up inside the lines and yellows quite a bit. I have modified m technique and am putting it on very lightly now. Do you have any tips or tricks for applying the poly? Can it be applied with a staining pad? Hi, just painted a coffee table and end tables with BM cameo white and they mixed it with a primer. (I previously painted them pink (I know, what was I thinking, right) with home made chalk paint and waxed them with Folk Art Home Decor clear wax. The tables looked great except the color had to go. The white covered the tables with only one coat. The table tops were smoky glass (which I disliked), sooo I just took my roller and painted the glass with two coats. I love them! My question is how to apply the poly on the glass. Could I use a roller? I love your helpful site. Thanks a lot. I would use a spray poly for an even coat,but I don;t know how durable it will be. Let us know! I have two tables that have been painted with gloss paint. I want to repaint with chalk paint. do I need to sand them or will the paint adhere to the glossy undercoat? father reading all of the comments here, I will not be using wax but will seal with flat poly acrylic, thanks! I would at least give them a sanding to give them a tooth and texture, I would also use a primer. I have another question before I start transforming some of my older furniture! i have two tables with laminate tops ( like formica). What is the best way to deal with this? Chalk paint? Or other? do I prime first and if so, is Zinsser the best to use? I don’t want to do the work and then have it pealing off, I would appreciate your comments! thanks! They make a special primer and paint for laminate, I would use that. Hi. I just discovered your site (LOVE it BTW!! ), and I found this thread very helpful. Not even sure if you’re still fielding questions on this topic, but I thought I would give it a try. I have a finished dining set that I would like to darken. It is solid oak, stained a medium shade and finished with poly. It is very detailed, with many intricate carvings, etc. I was considering using a dark wax right on top, to add depth and “age” and bring out the details. Is this a good idea? I can’t find much info on using dark wax on top of poly. Any suggestions? Can you use the min wax poly acrylic spray on cabinets indoors? I want to chalk paint the cabinets but need a durable finish. From what I read you recommend a glaze over chalk and then poly instead of the wax? Will the glaze bleed onto the chalk paint if it is applied directly on it? Thank so much. I have a quick question… I recently started painting a set of used light brown TV trays navy blue and gray (Dallas Cowboys colors) to give to my dad for Christmas. I also purchased some vinyl stickers of the teams logo that I wanted to put in the center of the trays after they were painted. We do not have any young kids in the family that would do too much damage to the trays but of course they would be used often to eat in the living room when a game is on. Would you recommend using a sealer, and if so which one and what type of finish? My main concern is making sure the sticker does not peel off with the every day use. I thought maybe just a clear coat of paint would keep the sticker in place but this is my first project so I’m kind of clueless. If it helps, the TV trays are made from wood but have that shiny surface already for easy clean up. Also, the navy blue and gray paint is in semi-gloss finish. I would appreciate any advice with this project.. I have something to add to your arsenal. I’ve been on the hunt for a sealer that dries completely matte. Not satin, matte. i.e. undetectable. I’m a polyacrylic believer because it doesn’t yellow. It’s also integral in my craqueleur (how one spell that?) method. However, sometimes I don’t want to have even a satin finish. Like my antique doors I Citristriped to raw wood. I just wanted it to be natural, not “finished.” But on bathroom doors? Gotta seal that! So playing around with different materials, I discovered dark paint BASE goes on white, but dries so invisible that you can’t even tell it’s there. I use Exterior (for its UV, sealing and durability properties) latex, FLAT paint base. BM’s is a 4 or 5, but use base for the darkest of colors. I’ve used it over different paints and stripped woods now. The tables resist condensation rings, and goo and life’s spluge wipes off. It’s also over raw wood on a potting bench outside I made, and since spring (of 2014) it’s in perfect condition. Anyway, you do such beautiful work I wanted to offer this idea to you for another finish option. I’m thrilled with it! I’d love to hear not only what you think, but to see any resultant projects! Thank you for all your hard & creative work, and more, thank you for sharing. Could you explain a little more. Thank you. Great post ! I have never had any luck using wax over my chalk paint . All tutorials make it look so easy but I can never get it to be even . I called Minwax and they said the paste just soaks into matte / flat / chalk paint . I usually use minwax polycrylic to finish my pieces, however , no matter how careful I am I get brush strokes or pooling , unevenness . You say that you use a spray polycrylic. I am in Canada and there are only poly urethane sprays not polycrylic . For some reason there is no Minwax polycrylic spray here in Canada. The spray and wipe on poly both say not to use on white or pastel as it will yellow . Frustrated with the brush on kind. Will have try and find another brand that is non- yellowing in the spray . My husband and I just made a farmhouse table and stained the top bare wood with minwax dark walnut stain. I am chalk painting the base in a white diy chalk paint with CC. Can I use minwax polyurethane on stained top since yellowing won’t really show? I plan on using polycrylic on the base. After we have painted the base white, I want a small amount of distressing and I think a little glazing is some of the areas. I don’t want to glaze the whole base because I don’t want my color to change. I’m wondering if I polycrylic before glazing, will it be easier for me to move my glazing where I want it. My question is, should I paint, distress, polycrylic, then glaze or do I glaze after the distressing and then poly the whole thing. Thank you and love all the info.